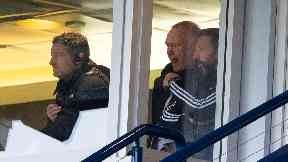 Derek McInnes: The Aberdeen manager was sent to the stands. Police are investigating sectarian abuse aimed at Aberdeen manager Derek McInnes during the Scottish Cup clash against Celtic. The Dons boss was sent to the stands for gesturing to Celtic fans singing offensive chants during the 3-0 semi-final defeat. 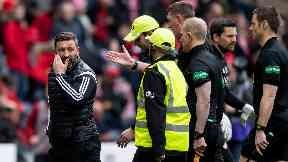 Chants of "sad orange b******" were heard before McInnes reacted and was shown a red card. Police have now launched an investigation into the abuse. 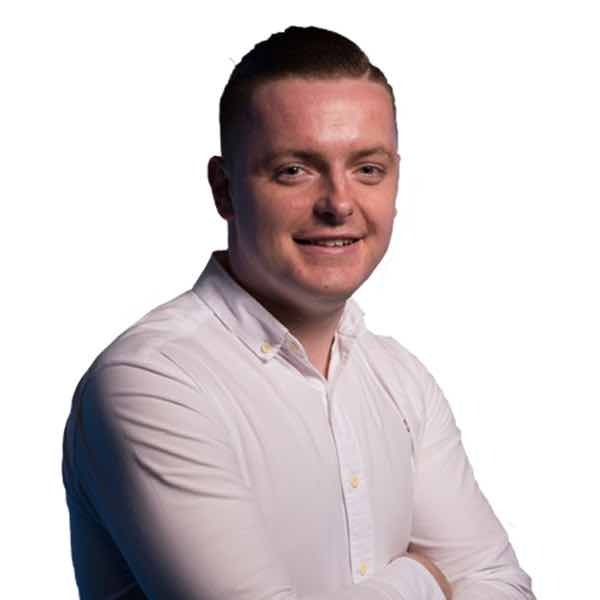 A spokeswoman said: "We are aware of abuse aimed at Mr McInnes and we are carrying out an investigation." 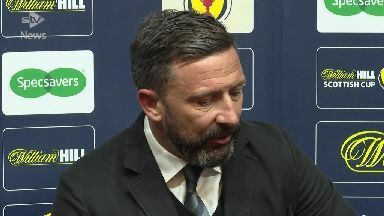 In response to the chanting, McInnes said: "I had let it go the first time but I shouldn't react and I'll take my punishment. "I was wrong to do so, I should be better than that. Stands: Derek McInnes was sent off. "I've heard that song a hundred times aimed at me so I think frustration from the game has played a part. "It'll be interesting to see if everybody gets punished." Two Aberdeen players and assistant manager Tony Docherty were also sent off as Neil Lennon's men secured a convincing win. Steve Clarke and Kris Boyd have both been targeted in high profile incidents in recent months.